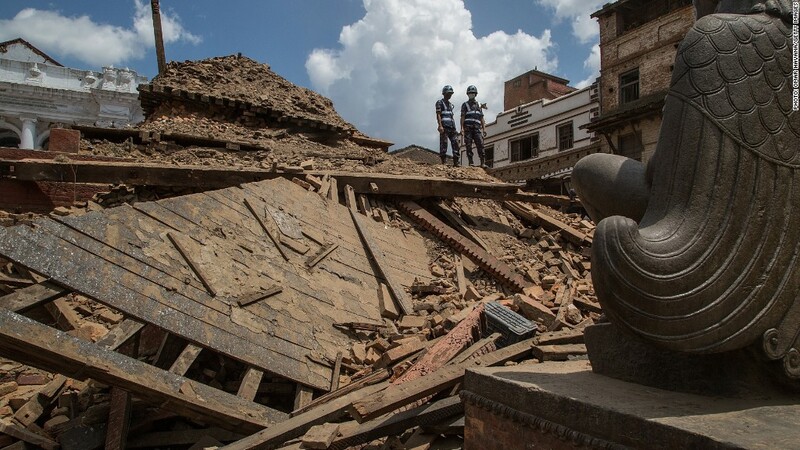 A major earthquake was the last thing Nepal needed. Even before one of the country's major fault lines rumbled to life, Nepal was beset by challenges: An extremely weak economy, rampant corruption and a series of climbing accidents on Mount Everest, its signature tourist attraction. The death toll from Saturday's 7.8 magnitude earthquake is expected to rise beyond the current 3,862 tally, and initial damage reports indicate widespread devastation. The total economic cost of reconstruction in Nepal could top $5 billion, according to an early estimate from IHS. The U.S. Geological Survey said the damage costs would most likely fall between $1 billion and $10 billion, but could range much higher. "Massive international disaster relief and rescue efforts will be needed urgently, as well as large-scale international financial and technical assistance for long-term reconstruction of the economy," wrote Rajiv Biswas, Asia-Pacific chief economist for IHS, in a research note. Biswas said the standard of housing construction in Nepal is extremely low, which is why damage appeared to be devastating near the earthquake's epicenter. He said the country has extremely limited capacity to recover and rebuild after disasters. Nestled high in the mountains between India and China, Nepal's economy generates only $20 billion in activity per year, making it one of the smallest in the world. With annual per capita GDP of around $1,000, many families already live in poverty, and some rely on funding from relatives who live abroad. Nepal has struggled in recent years to emerge from a decade-long civil war between Maoists and the government, which ended in 2006. The country's Hindu monarchy has been abolished, but political paralysis remains the norm. Nepal is ranked 126 out of 175 countries on Transparency International's Corruption Perceptions Index. One of the lone bright spots had been tourism. According to the Ministry of Culture, Tourism and Civil Aviation, one job is generated by every six tourist visits, and 138,000 people are employed in the sector. Most tourists come from India and China, and many are attracted to Nepal's temples. In 2013, nearly 800,000 people visited from abroad. Still, Himalayan peaks remain the troubled crown jewel of the tourism industry. Foreign climbers pay tour companies up to $100,000 for a chance to climb Everest. Some of their fees go to the government, while other funds are pumped into local hotels. Mountain guides can also get a slice, but labor disputes have broken out in recent years between the master climbers and management. In 2014, the climbing season ended after a piece of glacial ice fell on Everest, unleashing an avalanche that killed 16 Nepalis who had just finished their morning prayers. The earthquake that hit on Saturday set off avalanches that left large numbers of climbers dead, missing, injured or trapped on Everest. Aftershocks, including a strong one Sunday, are continuing to send snow and rocks thundering down the mountainside, complicating rescue efforts. Despite its reputation as a mountain paradise, Nepal's dominant industry is still agriculture. Roughly 70% of the population earns a living from farming, and the industry makes up a little more than one-third of the economy. Economists see potential in the country's water resources, which are among the best in the world. In addition to improvements in domestic electrical supply, hyrdopower could be exported to neighboring countries, including India and China. -- CNN's Jethro Mullen contributed reporting.